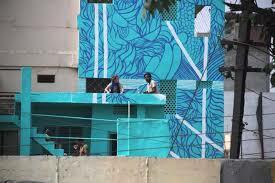 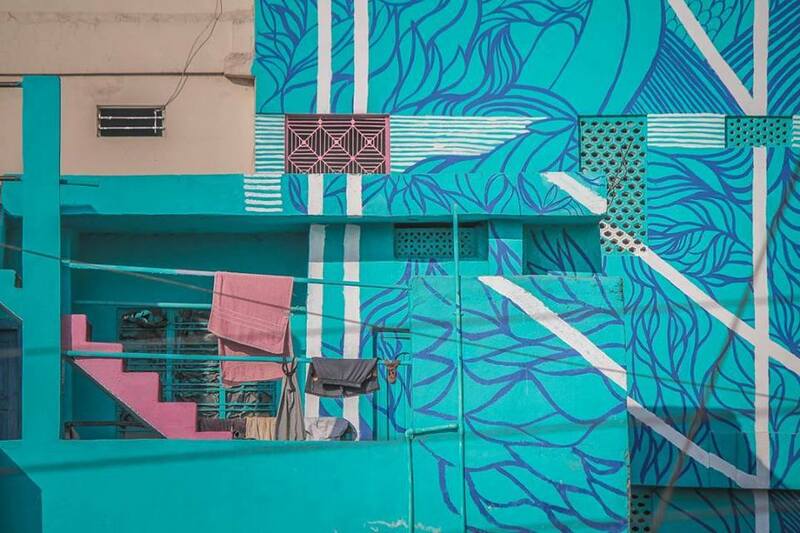 Delhi-based non-profit St+Art India Foundation aims to do exactly what its name suggests—to embed art in streets. 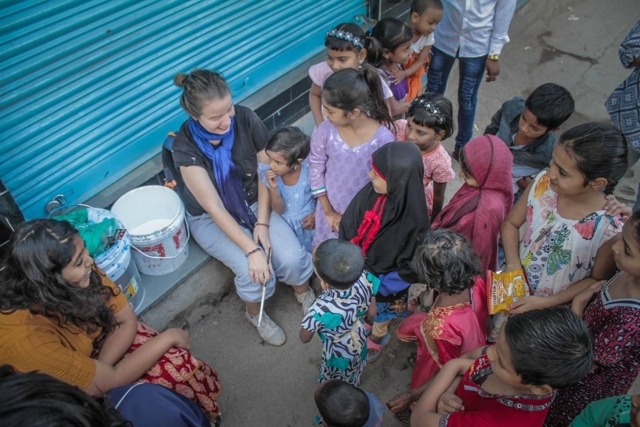 The organization’s recent work in the Indian metropolises of Delhi, Mumbai, Hyderabad, and Bengaluru, has resulted in a popular reclamation of the cities’ civic spaces and a simultaneous transformation of their urban fabric. 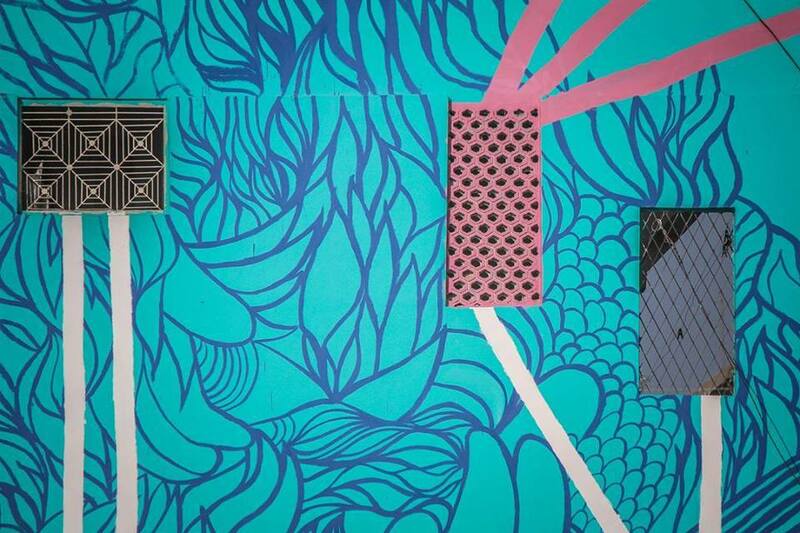 Primarily working within residential neighborhoods—they are touted with the creation of the country’s first public art district in Lodhi Colony, Delhi—the foundation has also collaborated with metro-rail corporations to enliven transit-spaces. 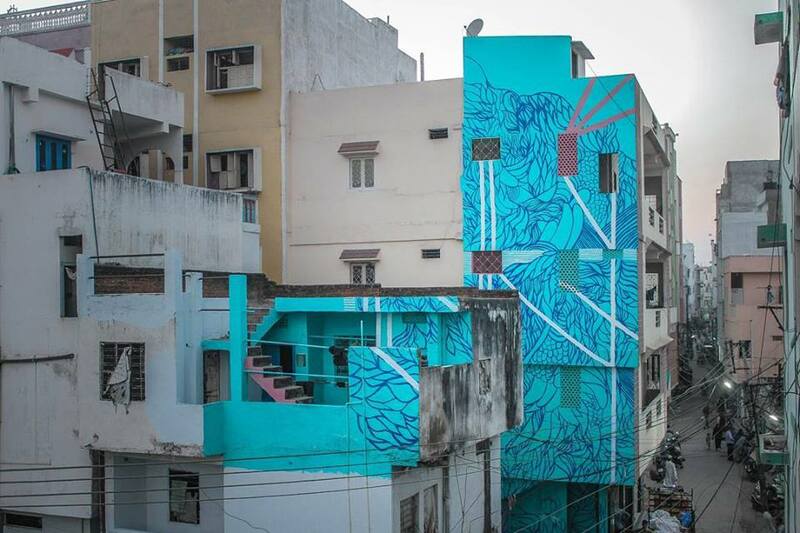 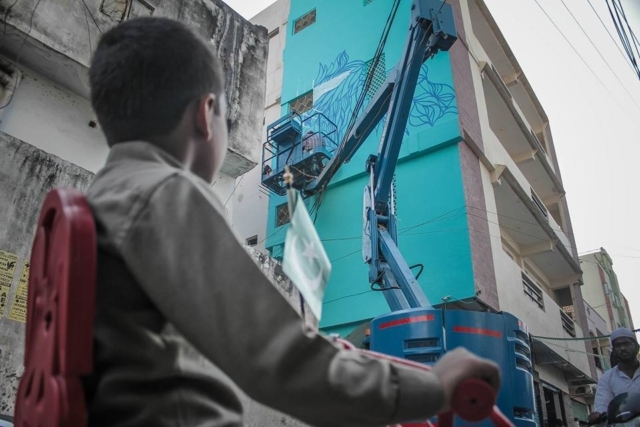 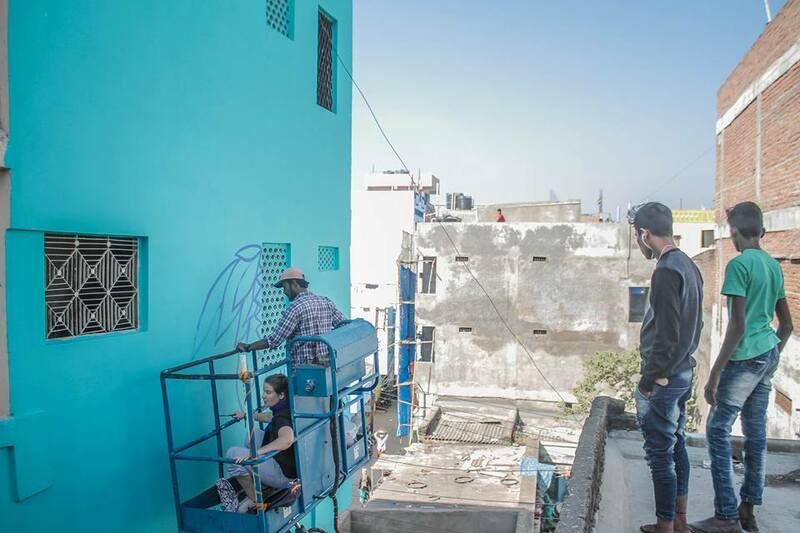 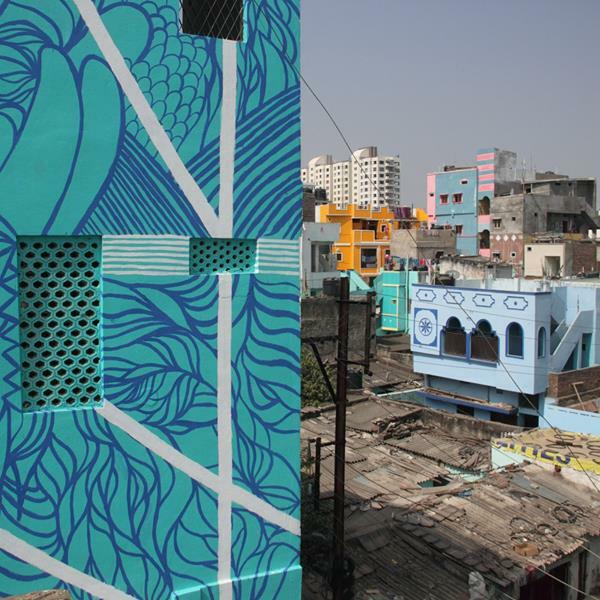 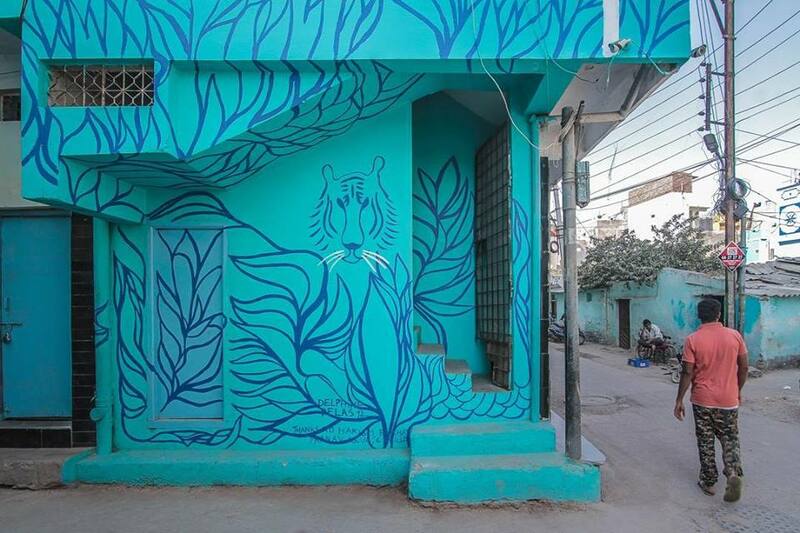 While St+Art India’s experiments are evidently rooted in social activism and urban design, they mark a significant moment in the historic timeline of the application of street art in cities: the initiative involves what it believes to be a first-of-its-kind engagement between street artists and the government.